Our visit to Philippe Bolton’s atelier was an absolute joy. We’d headed out of Languedoc, skirting past the magnificent citadel of Avignon. I’d visited Avignon thirty years ago, long enough for it to seem like it had happened in another life, and nothing seemed familiar; Paul was bowled over by the stunning battlemented citadel and it’s for sure that we will return to Avignon and spend a few days there. A campsite close by the centre was spotted, as we narrowly managed to avoid a low tunnel and sped north and east into the rolling Provence countryside. The atelier is in Villes-sur Auzon, a charmingly round village. The workshop is small and packed with amazing tools and instruments in the course of being made. 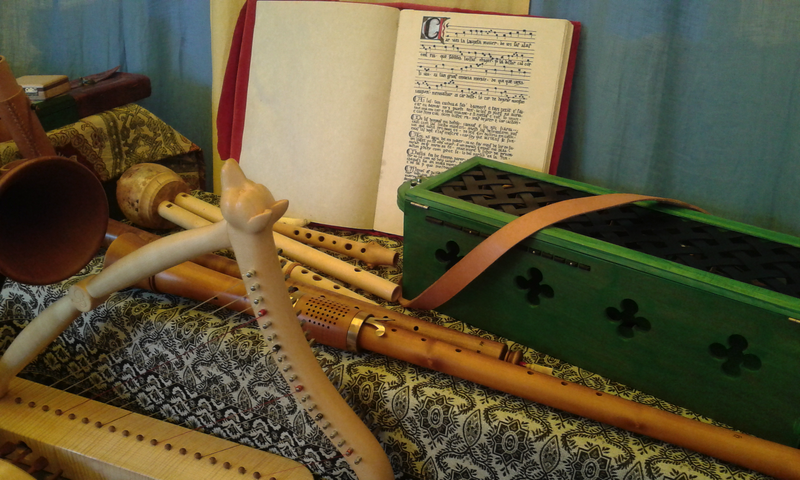 Philippe took us through the whole process of creating a hand-made recorder – it was a wonderful insight that has helped us understand the instrument a lot better. The delicacy of some of the operations is remarkable. 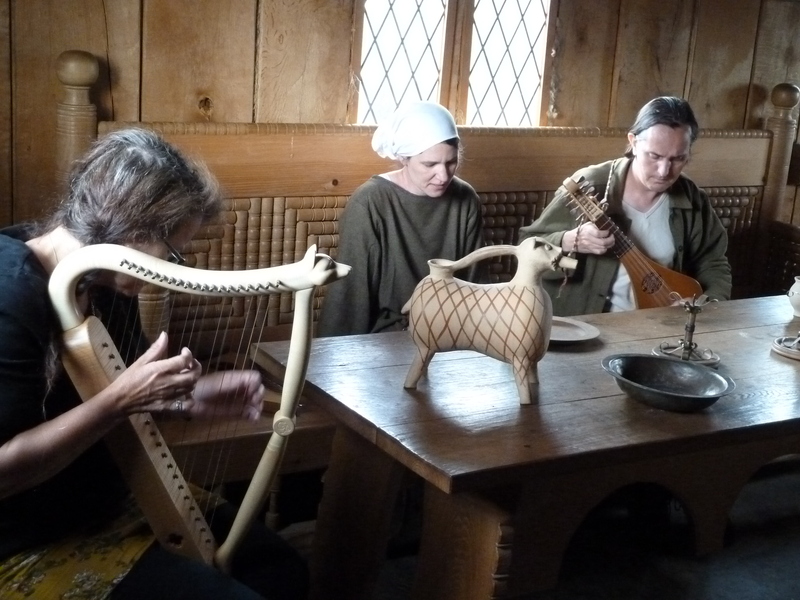 We are looking forward so much to our new medieval alto. 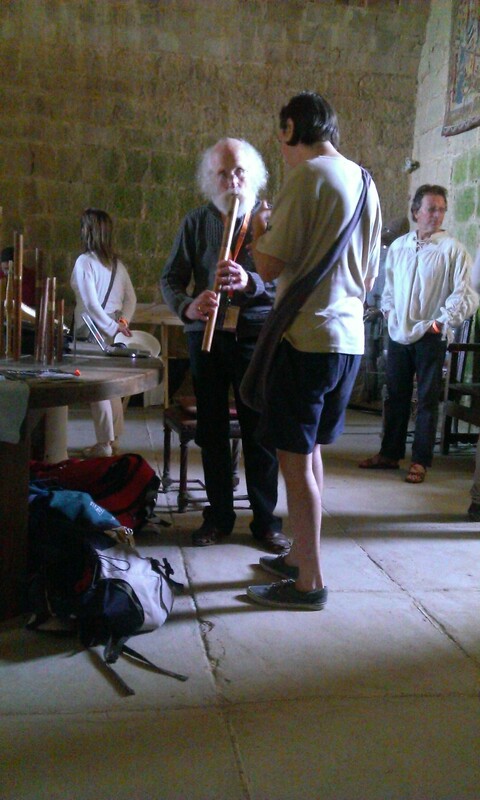 Here are Philippe and Paul exploring recorders at Puivert. Eric and his wife Atsuko made us incredibly welcome over the next two days. We were given a whistle-stop tour of Swabian highlights, culminating in a visit to the wonderful reconstructed wooden castle at Bachritterburg. There was a living history group at the castle, who made us very welcome. One of them was a singer and it was great to play along with her in the beautifully dressed period rooms. 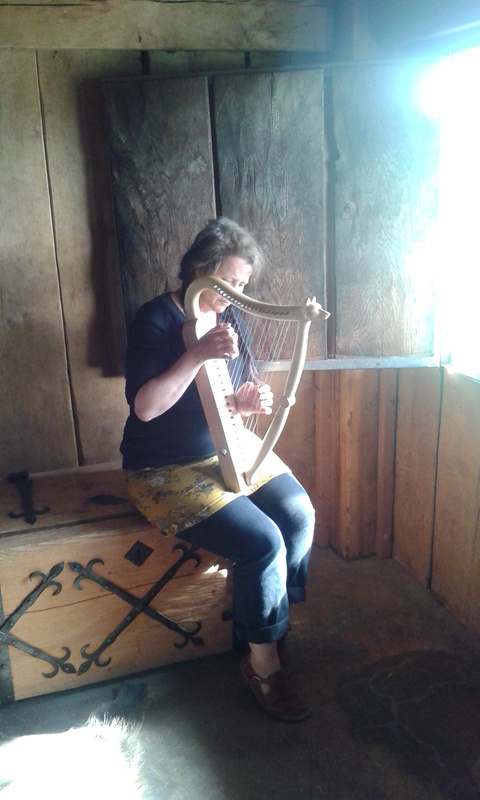 Eric also took the opportunity to take some splendid shots of the harp in fitting medieval settings. The journey to our next atelier took us some time. In brief…. An amazing drive back through the Black Forest north and west to Strasbourg, which gave the brakes a good workout… Two wonderful days in Strasbourg which took in the annual Fetes de Musique; we heard and saw a very splendid baroque group… south and west to Troyes via the village of Villehardouin (special relevance to me from my Greek medieval history and the visit meant a lot to me)… a visit to Guédelon, which is a unique and thoroughly admirable project to build a castle using as authentically medieval techniques as possible; we played a little in the recreated painted chamber… five days rest at Rigny-Ussé near the Loire where we hoped for wild swimming and got torrential rainstorms but also saw the village’s amazing Romanesque church and ransacked various vides greniers and brocantes… south and west to Poitiers which just has the most wonderful Romanesque sites… and finally south to Luzon to pick up a medieval symphony from Bryan Tolley. We had been massively taken by these symphonies at Puivert but had not succumbed as we then foolishly maintained that we had not come to France to buy another symphony and it was quite enough to buy a citole and a recorder. What nonsense, we had fairly swiftly concluded – obviously we have to have one of those little symphonies! We’d contacted Bryan and discovered a mutually convenient day – and here we were. Bryan has been very clever with this symphony design. For a start, he explained how he had developed a design with a much taller bridge and a wheel standing above the soundboard, and that this had increased the sweetness and volume. 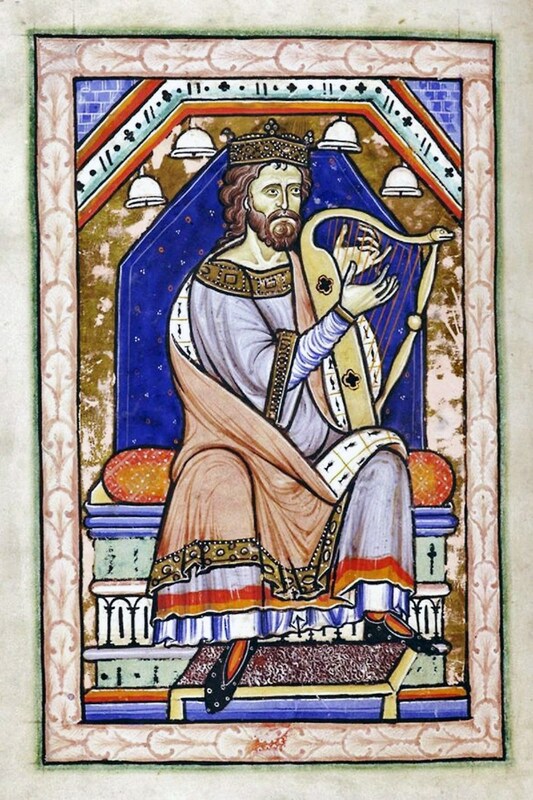 Secondly, the keyboard appears diatonic (no sharps and flats) as it should for a medieval instrument; however, the tangents inside have been constructed such that they can be moved to create B or B-flat, F or F-sharp and E or E-flat. Thus the symphony is just that bit more versatile in combination with other instruments. 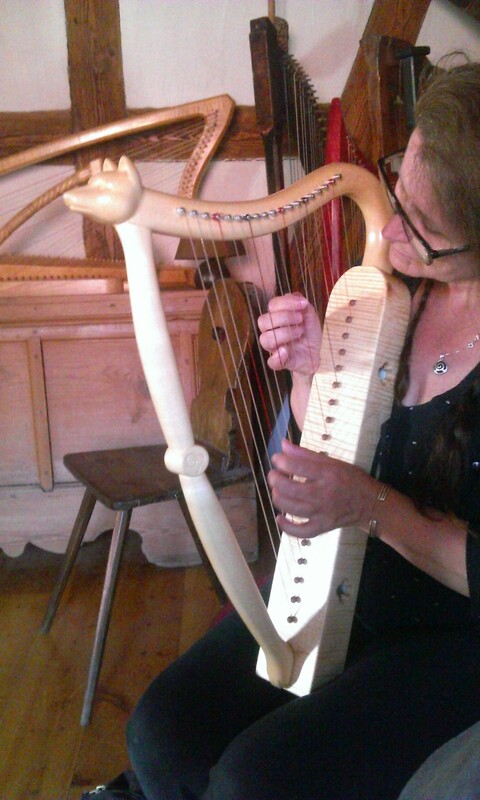 The chanter is tuned to G, with a G and a C drone and the sound is wonderfully sweet. 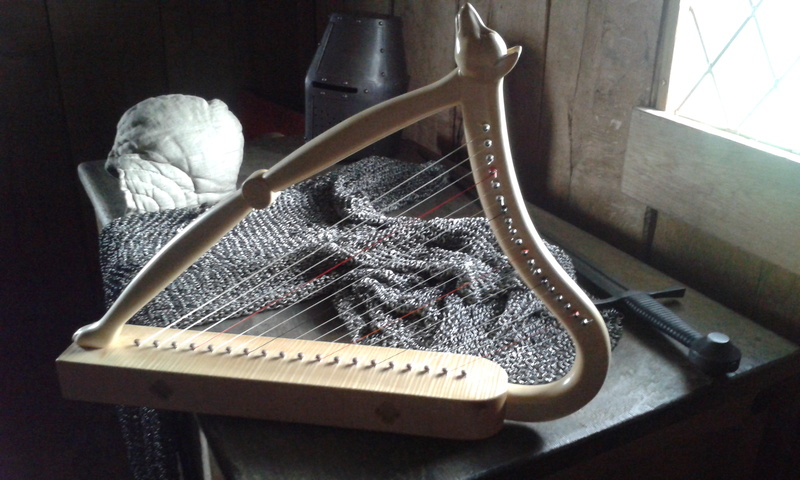 This entry was posted in Diary and tagged bachritterburg, Eric Kleinmann, harp, hurdy gurdy, medieval music, Philippe Bolton, recorder, trouvere. Bookmark the permalink.